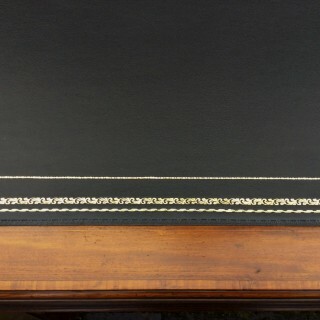 restoration and has a replacement black hide writing leather with gilt and blind tooling. 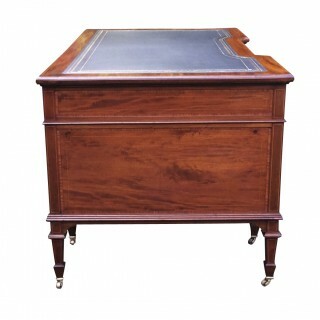 This is surrounded by a band of mahogany with a moulded edge. 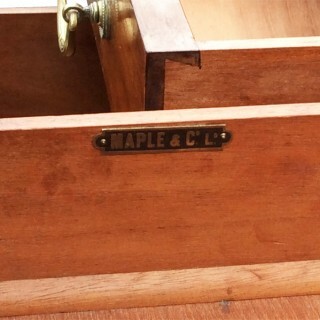 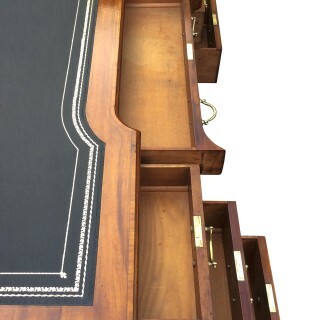 with hand-cut dovetail joints and the original the original brass locks and handles. 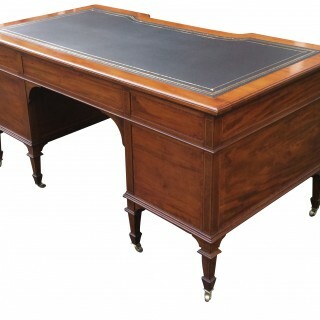 The desk stands on eight short tapering legs with spade feet and the original brass castors. 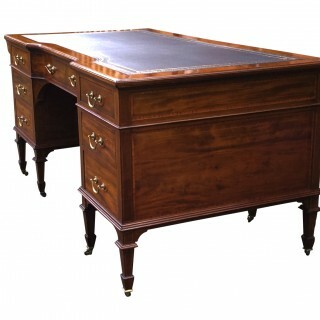 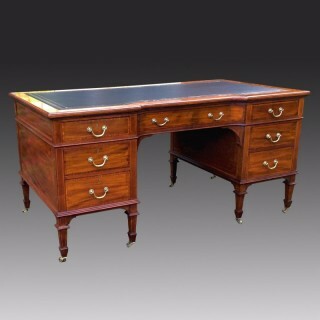 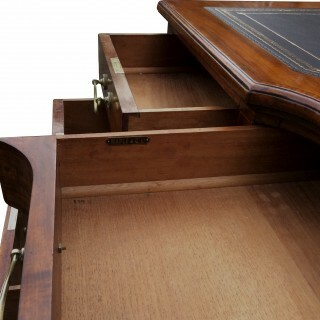 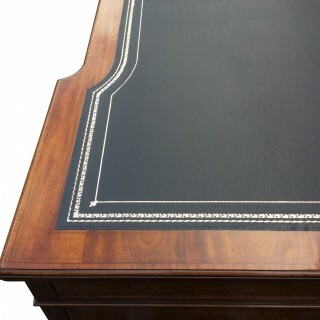 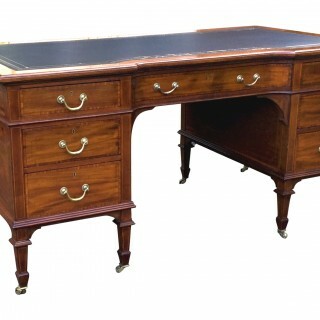 This is a very good quality antique desk decorated with cross banding and boxwood stringing throughout. 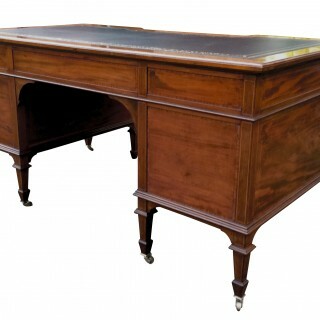 It would make a very attractive focal point to any office or study.